Previous PostPrevious Celebrate Valentine’s Day in Disneyland with Special Photo Ops, Food, and More! 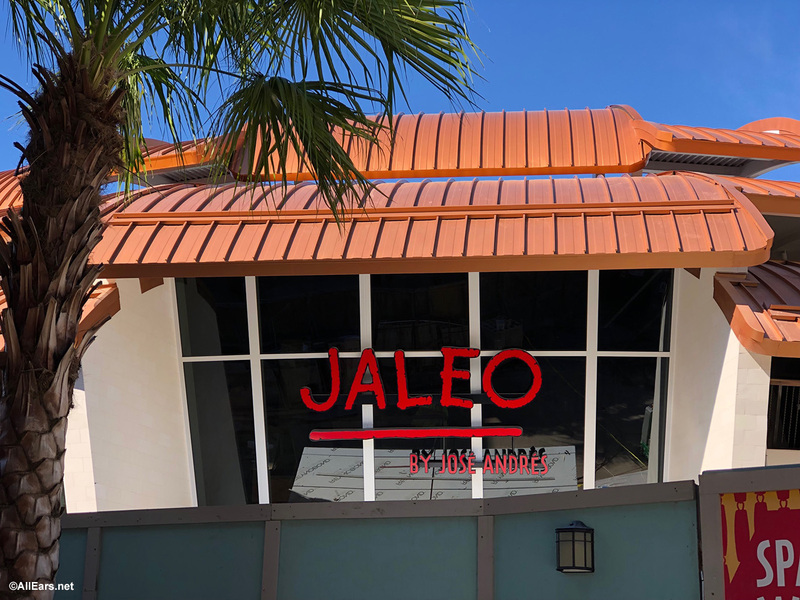 We are anxiously awaiting the opening of Jaleo by Chéf Jose Andrés in Disney Springs this winter. Recently, we learned there would be a casual, quick service location at Jaleo when it opened. Now, we’ve learned more about that option! 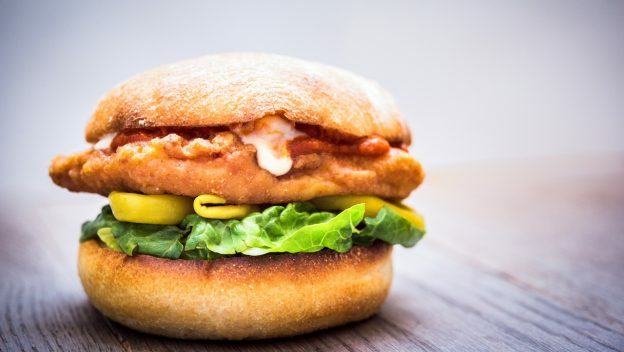 Pepe by José Andrés will be located next to Jaleo, and will be the first brick-and-mortar version of Andrés’ popular Washington, D.C.-area food truck, Pepe. 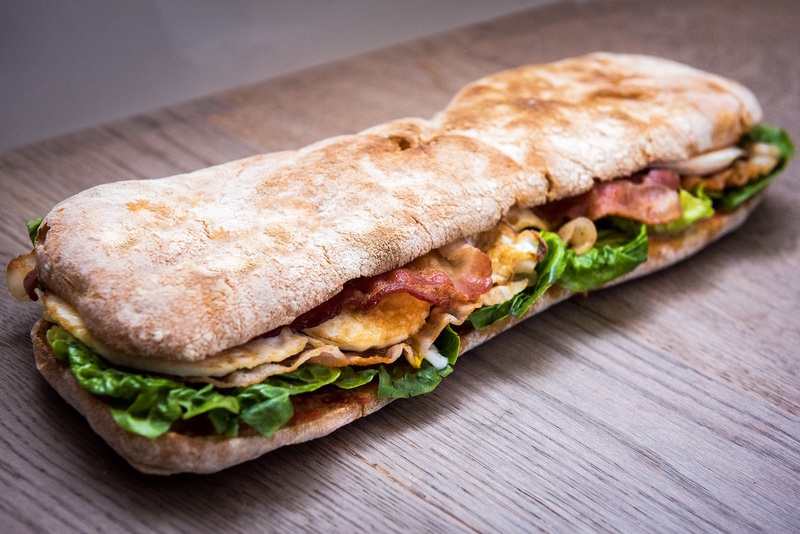 Pepe’s menu will offer hot and cold Spanish-style sandwiches including bocatas and bikinis. You’ll also be able to choose from salads, soups, and sides — that can all be paired with Spanish Sangria! When visiting Pepe be sure to check out the murals on the walls. They are by Marc Jesús, a Menorcan painter, featuring his ever-happy, blue-skinned female characters. Pepe and Jaleo are designed by Spanish designer Juli Capella and feature breathtaking exteriors and vibrant, theatrical interior décor representing the colorful and dynamic culture of Spain. Have you eaten at Pepe in Washington, D.C. or any of the Jaleo locations? Let us know in the comments below! Jose Andres. This is the same guy who is conducting a political stunt cooking free meals for the poor, poor, pitiful poor government workers. I’ll pass on his place. I live in DC. A lot of people are suffering. Poorly paid contractors (cleaning staff, security guards) are getting evicted from their homes, cars are getting repossessed. My husband is a Fed too. He’s a veteran, he works hard and this is not about politics. He’s getting paid this week. But his agency is about to run out of funds. I’m worried, we’ll only be able to make ends meet for a couple of months on just my salary. Anyway Jose Andres is a great human being and really cares about the DC community. And by the way, Jaleo is one of the best restaurants in the city. I agree 100%, Janie. It’s great to see folks like Jose stepping up in their own small way to help people who might be experiencing some hardship during this unfortunate time. I’ve learned not to take Ken’s comments seriously because they tend to be snark for snark’s sake, and they often read like someone who just enjoys the attention they might receive. In fact, I’m inclined to think this particular comment was Ken’s own form of “political stunt.” Nothing meaningful to see here. And I’m not really looking for attention. I have been a reader of this site for many years without posting. I also have spent more than 1,000 days in WDW. I first started posting recently after I got a little annoyed seeing how anyone who had the slightest negative thing to say about WDW was also not taken seriously. It was like “how dare you critique the most perfect place on earth.” So, have I spread on the “snarky” a little thick? I suppose so. So, I have made my point and without further ado I will now step aside so as not to offend any more WDW koolaide drinkers. To everyone’s delight, Ken has now left the building. I’d be more inclined to agree with your “WDW Kool-Aid drinkers” assessment of some readers if your original comment in this post had actually been critical of WDW, but it was a politically-colored criticism of a chef’s decision to offer free meals. In general, I have no issue with criticizing Disney when it’s warranted. I hesitate to post a non-Disney response, but your husband will be getting ALL of his pay. More than can be said of any private sector lay offs. And banks are giving feds and others affected low and no interest loans and working with mortgages for all affected. Also, most states are approving applications for unemployment benefits. Also, where are you hearing that people are “being evicted from their homes” solely due to the shutdown. That is simply not true. I’m retired DOJ and I loved every single shutdown we had. It was a free vacation and I didn’t even have to use annual leave. Our main office is in DC and I know many, many DOJ staff and those that I talk to are not desperate or in a panic. In fact, several are on vacation right now. I bet there are more than a few furloughed government employees at WDW right now as we speak. So the shutdown has been just over a month and you know many people who have been “Evicted” car’s “reposesed” , all in basicaly the first 30 days.. Wow that’s incredible, my yes I know privileged life, has seen no changes at all , went to Vegas last weekend airports still worked etc etc. I say if the jobs are not essential the job isn’t needed.